✔︎ Be a better listener? ✔︎ Increase their attention span? ✔︎ Improve their fitness level? ✔︎ Have some more fun? This is exactly what our program does and you will be amazed at what your child will accomplish. We will help your child get stronger not only physically but also emotionally, socially and intellectually. Children at this age love to be challenged and strive to be recognized and praised. They are more mature than the Ninjas, however they still struggle emotionally and can give up easily, especially when trying new things. Our program will teach your child how to set goals and persevere through the challenges. This process builds confidence and your child will start setting higher and more ambitious goals. While stronger than the younger children in gross motor skills they usually lack in fine motor skills. Kids at this age may also struggle with extra weight. Our program will improve your child in all these areas. They will be learning cool and fun martial arts moves that will help them learn how to apply speed, power, intensity and balance. You will see your child’s agility improve and their movements will become more precise and intentional. Making friends and having fun is something every child loves to do. They also desire being spotlighted and praised. However, if something goes wrong or if they make a mistake they can get frustrated and angry. 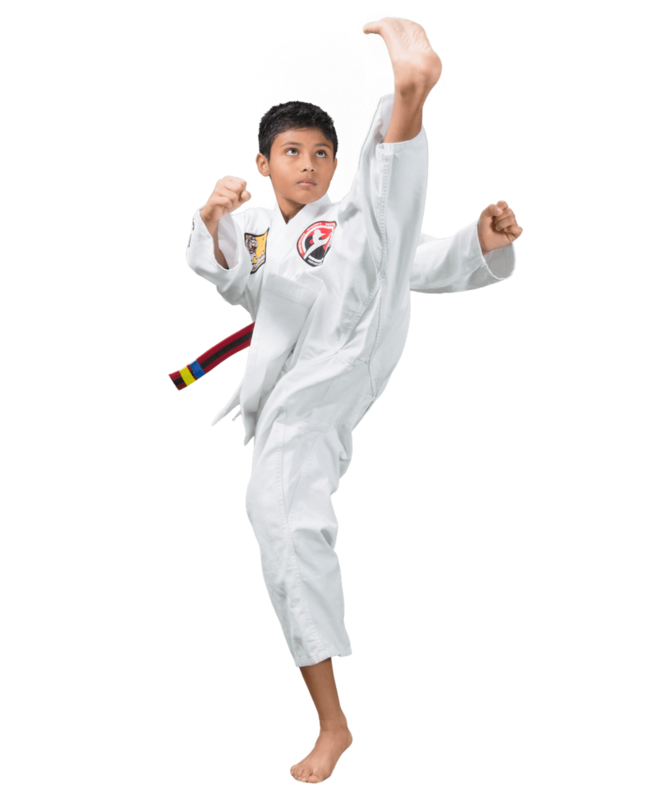 In our karate program your child will learn how to properly deal with victories and setbacks. Our goal is for your child to learn proper social behaviour. For example, that it is okay to make mistakes or that they should try their hardest even if they are not being constantly praised by the instructors. Kids at this age are smart and bright. They are very curious about the world and how everything works. Yet, they get easily distracted because of the many things happening around them and their developmental stage. We have designed our martial arts curriculum in such a way that your child will be learning and practicing to demonstrate focus and concentration in every class. Our Leadership and Legacy Program is a combination of Toastmasters International and Scouts. It is a public speaking and personal development curriculum for kids. Public speaking is the #1 fear of all time and we have the right tools to help your child improve their communication skills.